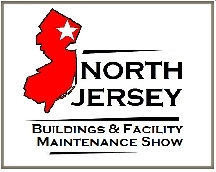 2014 North Jersey Buildings & Facility Maintenance Show | Manufacturers of Cooling Towers & Systems | Delta Cooling Towers, Inc.
Meadowlands Exposition Center in Secaucus, NJ. Stop by booth #521 to learn more about Delta Cooling Towers and the products we offer! Click here to fill out the On-Line Registration Form and you can attend NJBFM for FREE!